The Broken Kilometer consists of 500 brass rods each 2m in length and 5cm in diameter, so that end to end they would stretch for a kilometre. The installation is viewed from on end of the space and the spacing between the rows increases by 5mm from 80mm at the front of the space to 580mm at the back, tricking the eye which reads this as an even spacing throughout but with increasingly thin rods. 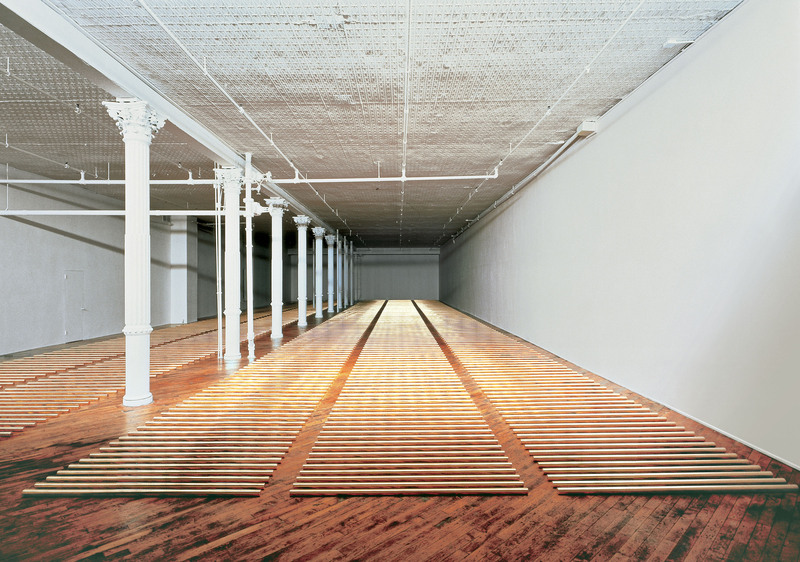 De Maria has played visual tricks like this in other works too, including the The Equal Area Series (1976-77), which distorts the perspective of the space it’s seen in. 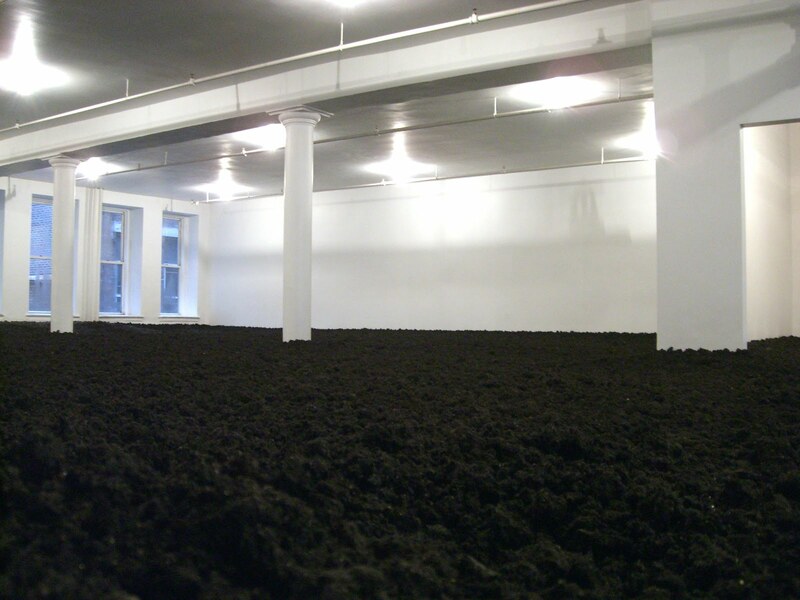 The second long-term installation by De Maria in SoHo is The New York Earth Room, a large room space at 141 Wooster which is contains 250 cubic yards of earth. That is to say, the earth is nearly two foot deep across the 3,600 square feet of floor space. That’s a lot of earth. In fact it’s 280,000 lbs of earth. There are lots of weights and measures to be listed for The New York Earth Room, but for me – though I really like the ready availability of the figures – in the end it’s all about how the room looks and the earthy smell of the place. The Broken Kilometer is located at 393 West Broadway. The New York Earth Room is located at 141 Wooster Street. Both are maintained by the Dia Art Foundation. 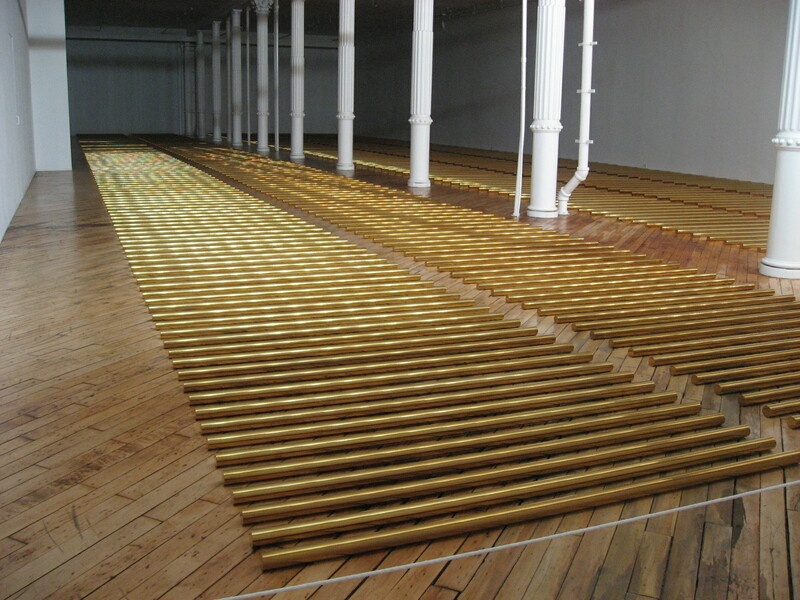 This entry was posted in Installation and tagged art, Broken Kilometer, Dia Art Foundation, Equal Area Series, installation, New York Earth Room, SoHo, Walter De Maria by Ann Jones. Bookmark the permalink.